China on Friday expressed firm opposition to a Tibet-related act passed by the US Senate recently, and urged it not to be signed into law. Foreign Ministry spokesperson Lu Kang made the comments at a daily press briefing in response to the US Senate's passing of the Reciprocal Access To Tibet Act of 2018 this week. The Act, now going to the White House for President Donald Trump to sign into law, seeks to promote access to Tibet for US diplomats, journalists, and tourists by denying entry into the United States for Chinese officials deemed responsible for restricting access to Tibet. "The Act interferes in China's domestic affairs with reckless disregard for facts and goes against the basic norms of international relations," said Lu. "China firmly opposes the Act, and has lodged solemn representations with the US side over it," he added. 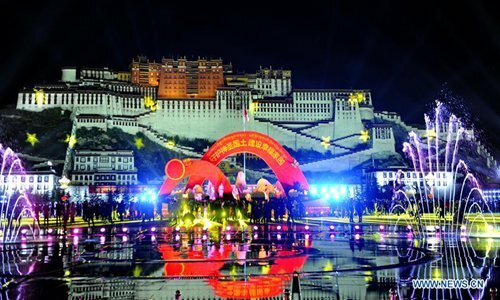 Stressing that Tibet-related affairs belong to China's domestic affairs that no country can interfere in, Lu said any foreigners who wish to visit Tibet Autonomous Region can apply through normal channels. A large number of domestic residents and foreigners visit Tibet each year for sightseeing or business, said Lu, adding that nearly 40,000 US citizens have visited Tibet since 2015, including the minority leader of the US House of Representatives, many senators and other groups. "The accusations against China in the Act are totally groundless and absolutely unacceptable by the Chinese government and people," said Lu. "We urge the US administrative bodies to take immediate measures to stop it being signed into law so as to avoid impairing China-US ties and cooperation in major areas," the spokesperson said.